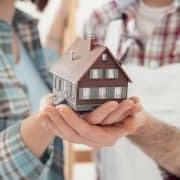 Buying a home is one of the largest and most important investments you will ever make, but buying a home doesn’t have to be an intimidating process. From the first consult to final signing, Lauren Stratton Realty will work with you each step of the way to ensure your experience is a memorable and positive one! We pride ourselves on integrity, honesty, and creating long-lasting relationships. We’ll go out of our way to personalize the buying process for you! That means we are always here when you have questions and will return your phone calls promptly. We’ll explain in detail all the paperwork necessary to facilitate a successful transaction. We will will work one-on-one with you to ensure you’re fully satisfied with your purchase! We’ve gathered a list of information that would be beneficial to you as a home buyer. Feel free to utilize these resources, as well as contact Lauren Stratton with any additional questions you may have. These are just some of the many topics we can discuss when planning to buy a home. Feel free to contact me with any questions you may have!